This panoramic image shows the place “Hühnermarkt” (chicken market) in Frankfurt am Main (Germany). 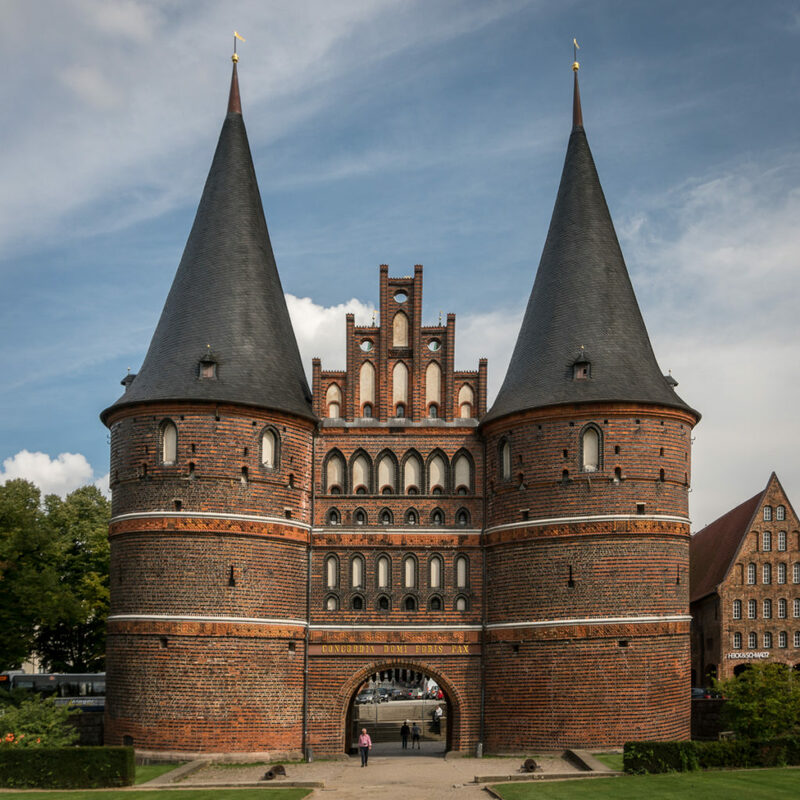 The place is a part of the so called “Neue Altstadt” a central area of the city, which was rebuilt in a historic style and opened to the public in 2018. 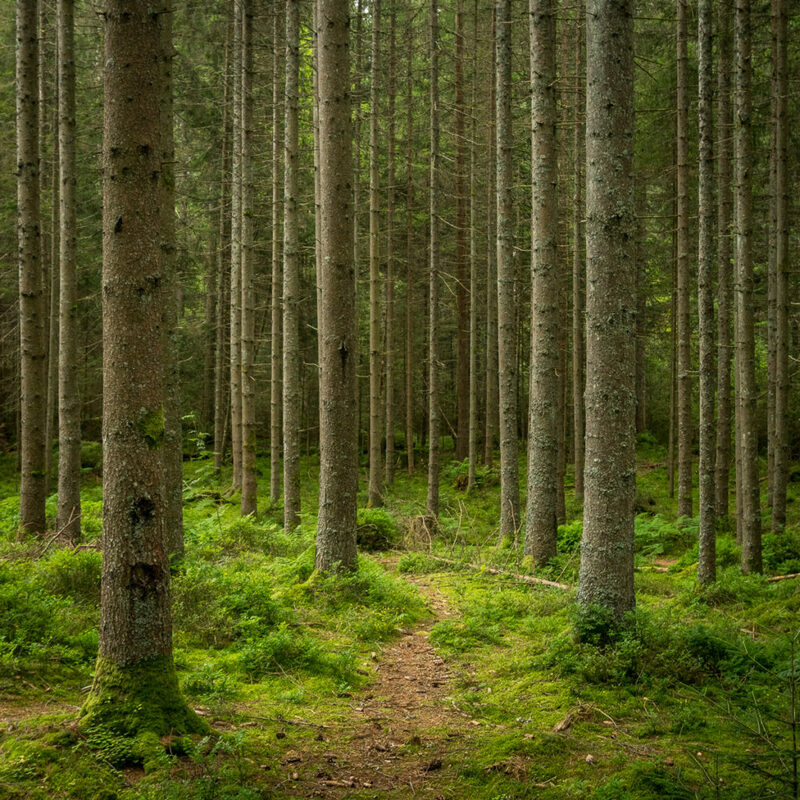 The shooting was done with a 3 meter (appx. 10 ft) pole to reach a more elevated viewpoint. The lens was mounted with a custom-made bracket. 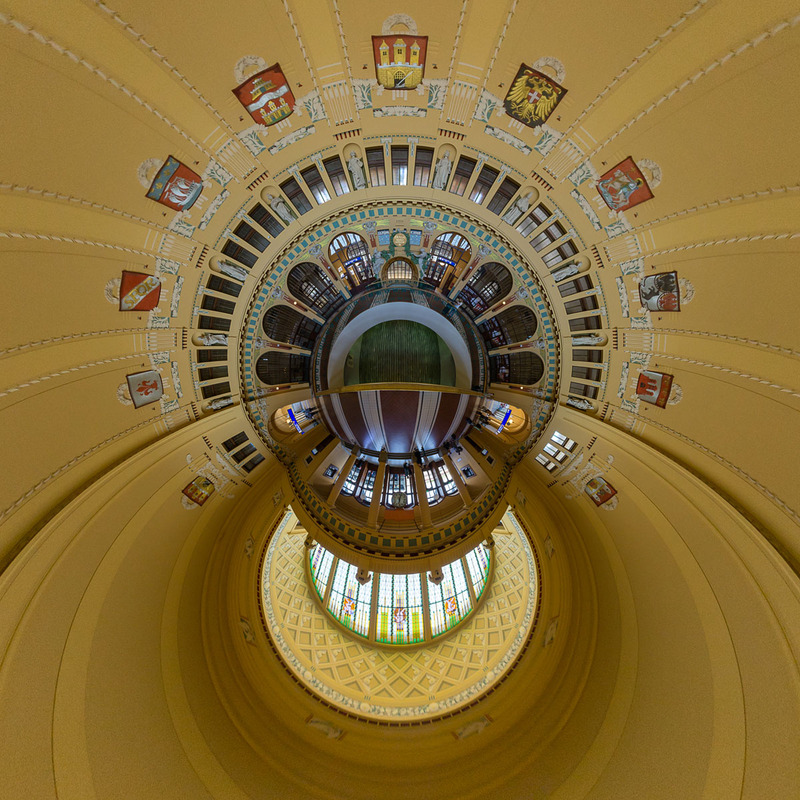 Stitched from six images taken with a Walimex (Samyang) 7.5mm fish eye lens on a Sony ILCE-QX1. Five images around and one additional image for the nadir. This is from my 2019 calender either the March or the September page. 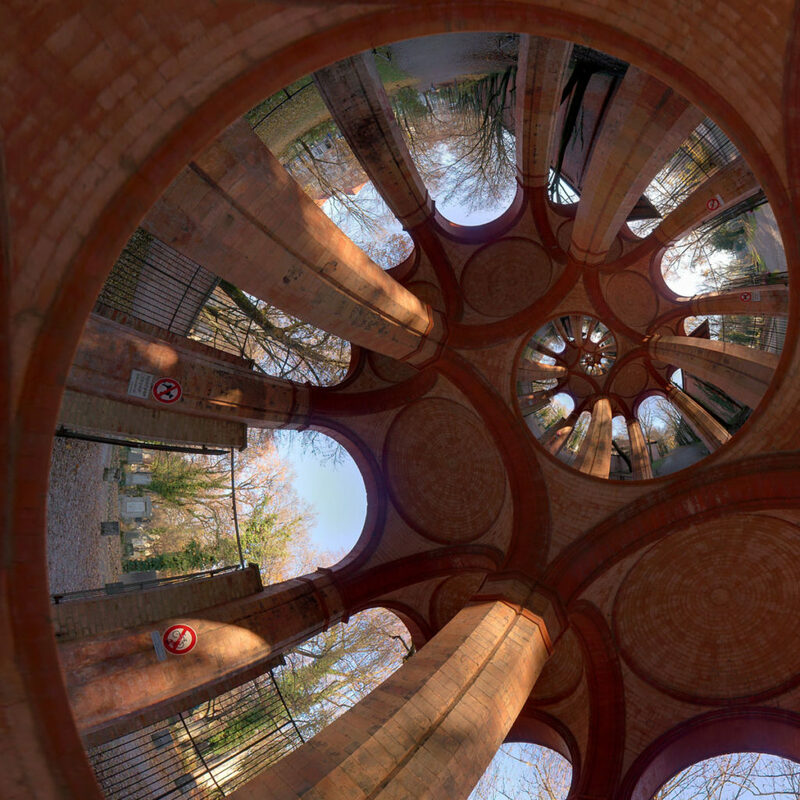 This Droste type reprojection was generated from a spherical panorama I took in the center of the entrance to Munich’s old south cemetery. This image is from the February page of my 2019 calender. It shows the Wartburg near Eisenach, a famous german castle. 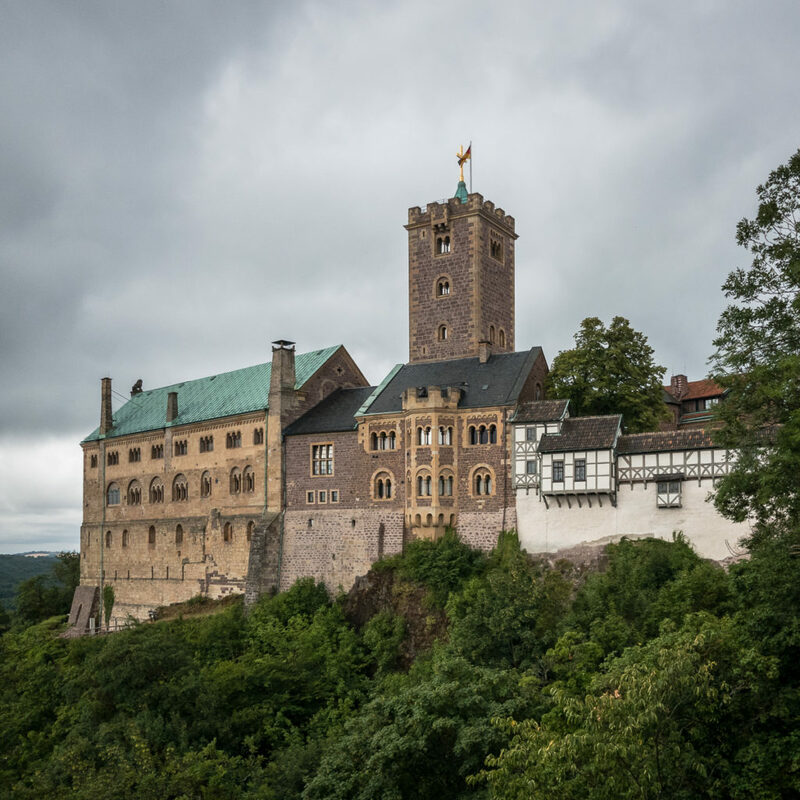 Wartburg, a famous german castle.